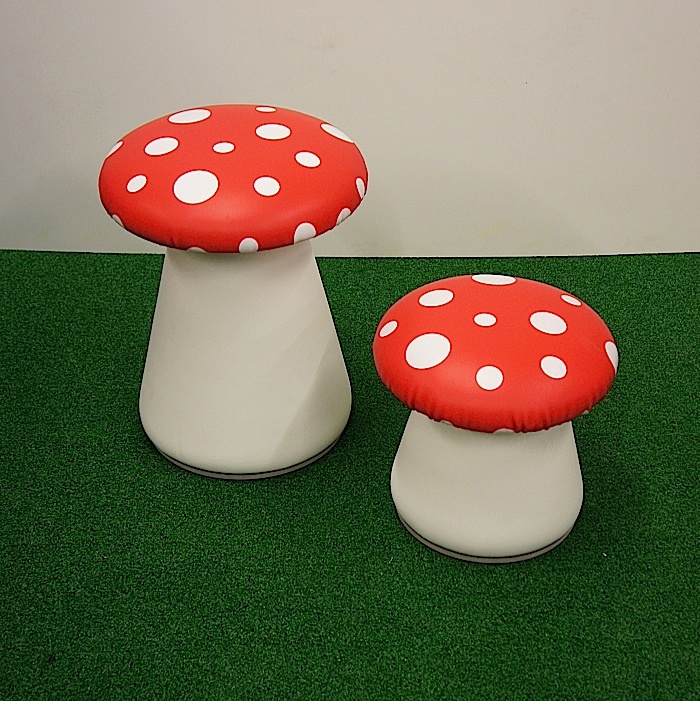 Genix Imaging asked us to make up a number of very cute toadstool seats, in both kids and adult sizes for UGG stores. 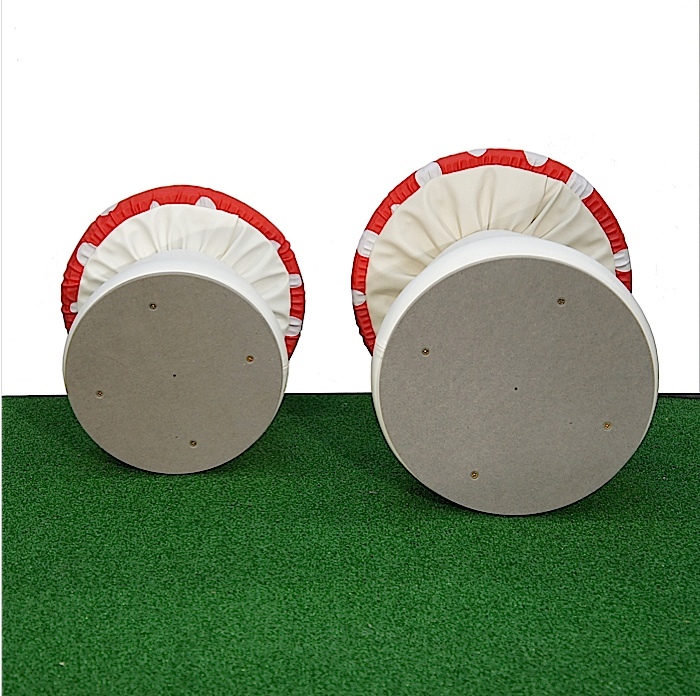 By screenprinting the white dots on to red leatherette we created this great red and white polka dot finish without the uniform pattern which most polka dot fabric comes in. 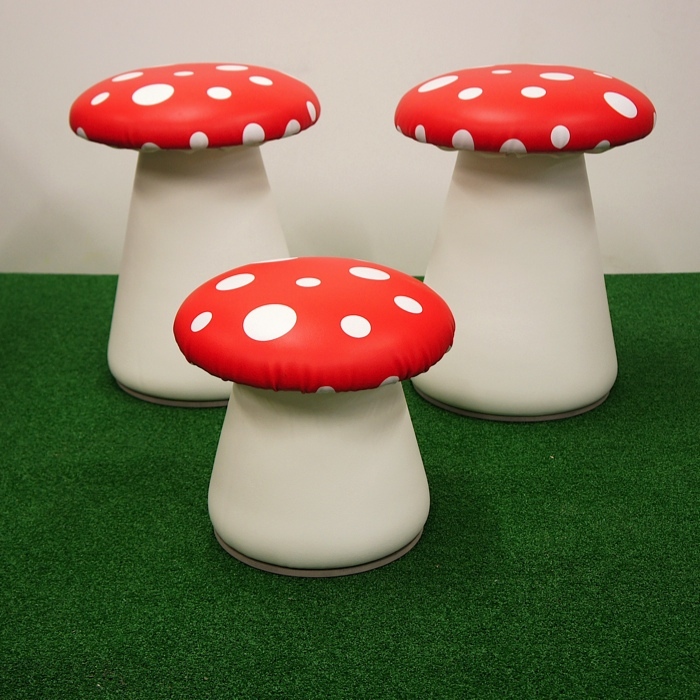 The finished large and small toadstool seats looked absolutely gorgeous, to the point that we now all want a fairytale toadstool chair for our own homes. 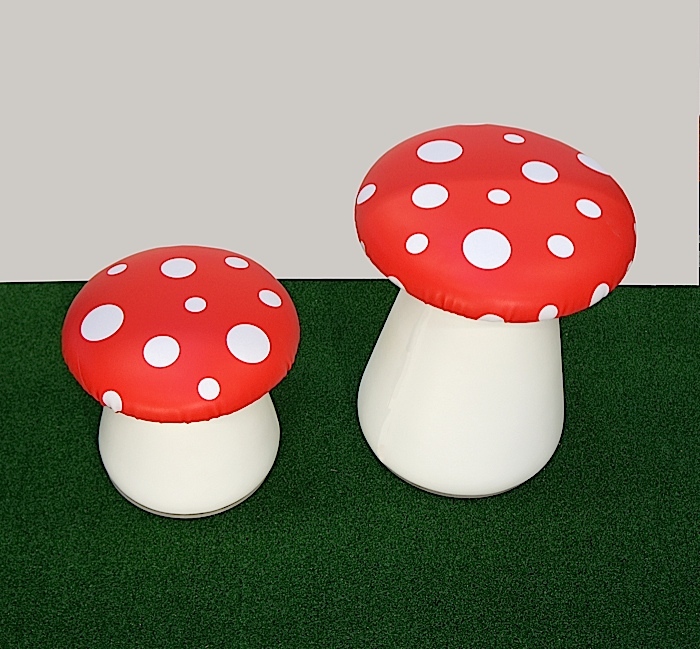 There has been a lot of interest in these toadstool seats so now Plunge Products has decided to do a production run of them which are for available to buy. Yay! 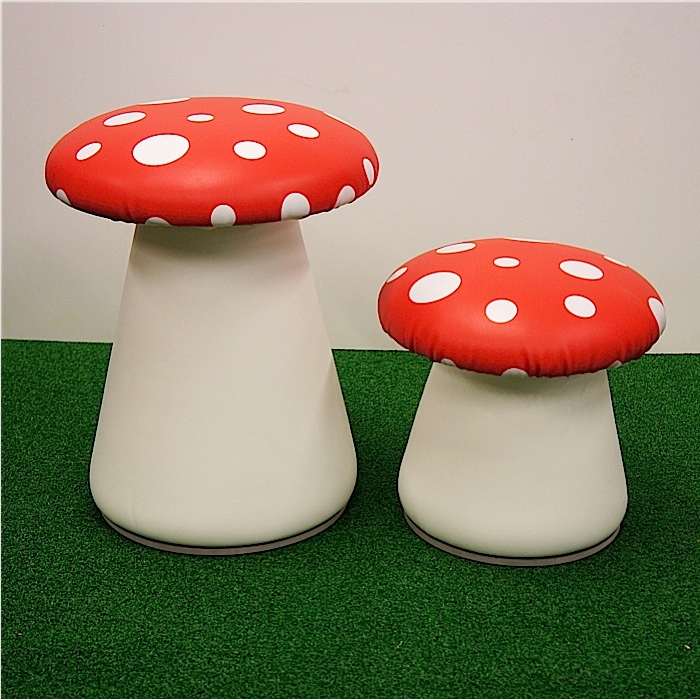 If you are interested in buying one of our toadstool seats, please head to our Etsy Shop and purchase it there.